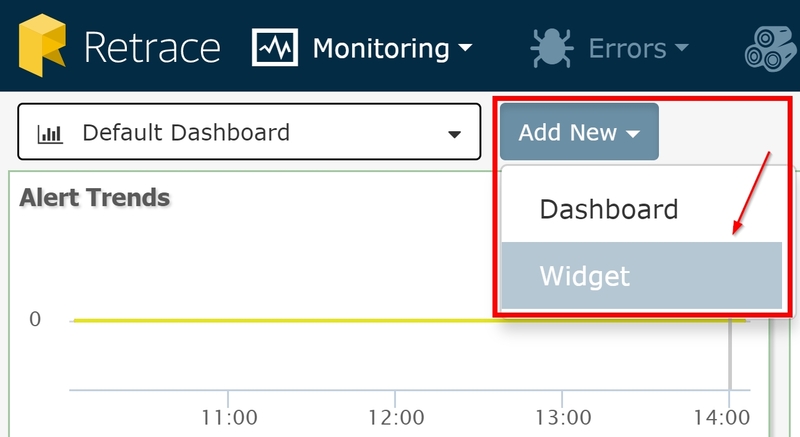 Custom Dashboards give you the ability to add and arrange a number of widgets and monitors ranging from Error and Log monitors to Active alerts, and everything in between. Below will provide an overview of the process of creating a new dashboard, adding widgets to the dashboard, and some different options and settings for the custom dashboards. To view the Custom Dashboard page, go to the Monitoring Tab> Custom Dashboard. Each account will begin with a "Default Dashboard" that includes useful data out of the box around your alerts, errors and logs, and web app performance. Below will outline the process of creating a customized dashboard tailored to what you want to see. 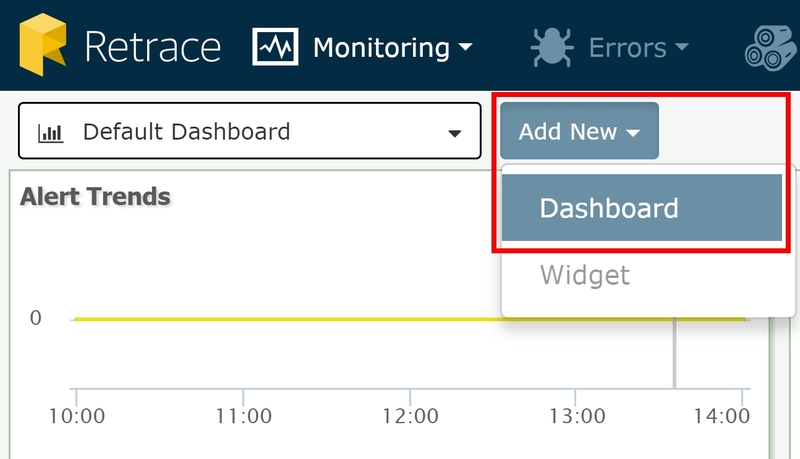 First, navigate to the Monitoring tab and select the Dashboard menu item. Then select the "Create Dashboard" button to create your first custom dashboard. Next, give the custom dashboard a name and select a layout option. These options include one, two, or three column layouts, or a 30/70 or 70/30 column split. This will reflect how the different widgets you add are organized on the dashboard. Finally, choose whether you want the created Dashboard to be the default dashboard for all users in your account, or just for your account. Once you have given a name to a new custom dashboard you will be able to add different widgets to the dashboard. To configure an existing dashboard click on the cog wheel to pull up the Dashboard Settings. This will allow you to change a layout, rename the dashboard, and specify the default view, just like when creating a new dashboard. To toggle the widget settings, simply click the edit icon to pull up a dark blue bar across the top of each widget. Here you can control each individual widget on the dashboard. Click on the gear icon of a given widget to bring up the widget's settings. These settings will vary on the widget type. Click and drag the top bar to rearrange the widgets in the order you wish. Depending on the widget type, you will be able to apply different sizes or have it auto size based on the data the widget contains. Click on the X icon of a given widget to remove it. You can refresh an individual widget in the upper right corner of the widget, or you can globally refresh all widgets at the same time using the icon shown above. Choosing a date range will automatically override any individual date range settings you have set per widget with the range you select in the date selector. This will be especially helpful when trying to see correlation between different servers, services, or apps. Click this icon to display the dashboard in fullscreen.